More sophisticated, more complete, and more thoughtful, Ozzy Osbourne picks himself up after the tragic death of Randy Rhoads and returns with a much improved effort on his third solo album. The cause is helped by Ozzy finding another talented guitarist in Jack E. Lee, formerly of Ratt. The compositions on Bark At The Moon now sound like band efforts rather than the simplistic, fragmented songs designed to showcase individuals that populated Diary Of A Madman. The melodies feature cultivated variations, sharp hooks, and astute enhancements. The ballads You're No Different and So Tired pack genuine emotion, with the band providing strong support to Ozzy's honest vocals. The faster tracks are also generally much improved, anchored by the title track. Bark At The Moon opens the CD, and it is one of Ozzy's finest pure metal compositions, finally demonstrating a full understanding of the necessary interplay between vocals and guitars, with Lee's solo work outstanding. Centre Of Eternity and Slow Down provide good support, both featuring mature, integrated melodies. 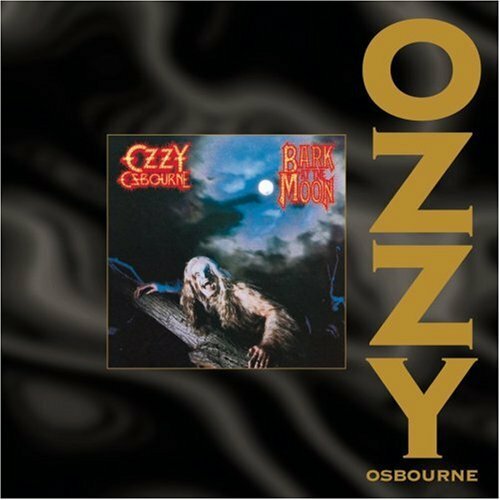 The cover art has Ozzy embracing his demented persona, and this time the music backs up the powers of his madness. Produced by Ozzy Osbourne, Bob Daisley, and Max Norman. All Ace Black Blog CD Reviews are here.